Buy How to Make a Million Slowly: My Guiding Principles from a Lifetime of Investing or The DIY Investor: How to Take Control of Your Investments and Plan for a Financially Secure Future cheaply from Amazon UK. You too can earn money from writing articles by signing up for InfoBarrel. Normal stocks that pay a dividend may well have a dividend re-investment programme, where any dividends are reinvested into purchasing more shares in the stock. Pooled investments, such as unit trusts (or mutual funds) and investment trusts can often be purchased with two different types of unit, or stock for investment trusts. These are accumulation units and income units, or the equivalent. With accumulation units the dividends received from the shares owned by the fund are directly reinvested into it, resulting in the value of the units going up (hopefully), rather than being paid out to the unit holders. With income units the dividends are instead paid out to unit holders as the fund's own dividend, or distribution, although these payments are usually twice a year rather than when the fund themselves received the dividends. What should you do with this income? Should you, in the case of those investments such as unit trusts with this alternative, get accumulation units, or alternatively buy income ones? DISCLAIMER: As with all tax matters, make sure you speak to a qualified professional on the subject. Any figures and examples are provided purely for illustrative purposes; actual figures and tax laws can and do change frequently. The present, and future, tax consequences may well be the biggest determining factor in your decision. If you are investing, at some point in the future presumably you are going to want an income of some description from your investments, whether for retirement, a lump sum purchase or simply to replace an existing income. This income could be obtained from selling units or stocks or by simply stopping reinvesting any income earned. Two of the taxes that need to be considered (in the UK) are capital gains tax and income tax. Accumulation units in a unit trust may be subject to a "notional distribution" that can have tax consequences. There is, however, a capital gains allowance before tax is due on it, which is currently £10,600 in 2012-13. It makes sense to use up that tax free allowance first, especially if you are paying a higher rate of tax, by taking money out as a capital gain instead of taking it as income. Should you be on a lower rate of tax and have used up that allowance - which is possible - it can be cheaper to take the money as income rather than capital gains. Tax laws do change, and what works this year is not guaranteed to work next, especially if there is a change in government in the interim. Governments frequently change tax laws to gain popularity. Buying your shares or units through stocks and shares ISAs (Individual Savings Accounts) can help mitigate any tax consequences. As of this writing, investments held in an ISA are free of tax on income as well as on capital gains should they be sold. This money can, according to HMRC, be taken out at any time without losing the tax relief. Buying accumulation units in a fund, or using a dividend reinvestment plan for a stock, are the easiest way of reinvesting, but both of these can increase your exposure to a particular stock or unit trust, possibly beyond the level you wish to be exposed. If you choose to receive the income from your shares or units, you can still reinvest that income into the same investment. This is true even with unit trusts, as you can buy more income units rather than spending your initial investment on accumulation units intended to go up in value, increasing the number of units in your portfolio. A regular monthly investment plan may well automatically reinvest any income received into the plan, even if you have income units. Stocks without the option to reinvest your dividend could be purchased as normal, but this may well be uneconomic as the transaction from a dividend may well be too small and incur far too many costs. In addition, any income received can be reinvested in other units or shares, rather than in the fund or stock which generated the income in the first place. Again, with some shares and funds, this may also be uneconomical to do due to transaction size and fees. This will probably be easiest to do using a regular monthly investment. One benefit of accumulation or automatic reinvesting is that you aren't tempted to spend the money rather than reinvest it. 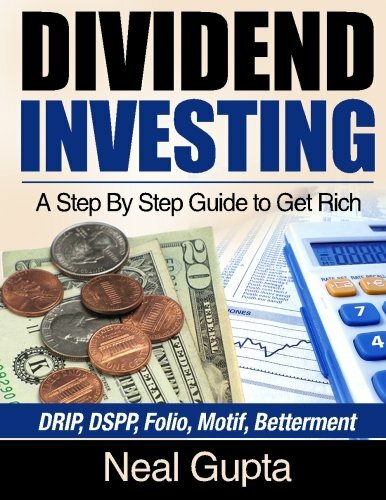 If it goes into a bank account, the dividend or distribution may just vanish into regular spending or be wasted, rather than being used to build your capital, which can have surprisingly large long term consequences. Consider if you were receiving 5% capital growth and 1% income, with the income reinvested, £100 invested over 20 years would be worth £321 with the income reinvested and only £265 if it isn't. The dividend income could be 3%, rather than 1%, and the difference there is £466 with income reinvested compared to £265 if it isn't. These figures are of course simplified and they don't take into consideration tax or inflation, but if you think you might find it difficult to reinvest and not spend the money it is best to set it up so that it is done automatically, where the dividend isn't sent to you to waste in the first place. Credit: SXC.HUWhat are Your Investment Goals? This may seem like a bit of a pointless question - after all, surely your goal is to make money. It is rather more complex than that though. The reason why you are looking to make money can, and will, affect your planning here. Are you looking for current income? In which case, you won't be looking to reinvest any income, so things such as accumulation units are definitely out. Are you looking to build capital for retirement? In this case dividends and distributions should be reinvested, in whichever way is the easiest, incurs the least charges and is tax efficient. Accumulation units, where the income is reinvested in the value of the units, will typically incur less charges than reinvesting in income units. It is possible that what is the most tax efficient loses out in the other areas, and so on, so an outcome which balances the respective areas will need to be determined. Are you looking for a combination of these two - build capital to the point where you can draw income from it before retirement? In this case you will probably want to be able to easily switch from building capital to generating income, and still preserve your capital. Accumulation units may be a poor choice for this, unless they are invested through something like an ISA, where the type of investment can be sold without capital gains tax consequences. What is your investment horizon, or how long will you be investing before you decide to take an income? The longer your horizon, the greater the amount of flexibility you are probably going to have. Determining what to do with the income, and how to do it, can actually be quite complex. If you don't actually need the income now then reinvesting it is the best idea. How this is done can vary though, so writing down what your goals are, and then discussing them with competent advisors, is probably the best way to go about it.